About Scholarship: The Holland Scholarship is financed by the Dutch Ministry of Education, Culture and Science as well as several Dutch research universities and universities of applied sciences. This scholarship is meant for international students from outside the European Economic Area (EEA) who want to do their bachelor’s or master’s in the Netherlands. You meet the specific requirements of the institution of your choice. You do not have a degree from an education facility in the Netherlands. Value of Scholarship: The scholarship amounts to €5,000. 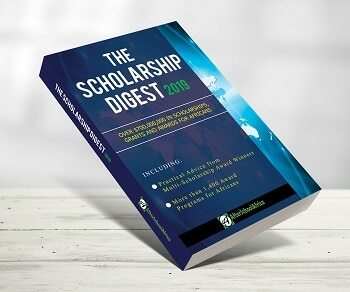 Duration of Scholarship: You will receive this in the first year of your studies. The deadline for application is either 1 February 2019 or 1 May 2019. Please check your specific deadline on the website of the institution you want to apply to. Further information about the application procedure, the participating institutions and the specific deadlines is available on the website of the institution of your choice. Choose a course and/or institution with the Studyfinder tool. Check whether the Dutch higher education institution is participating. Check the selected fields of studies on the website of the Dutch higher education institution. Check whether you meet the application criteria above. You can start applying from 10th Jan 2019 onwards. You need to apply for the Holland Scholarship directly at the institution of your choice and meet their selection criteria. If you have any questions about the procedure, please contact the institution you are applying to directly. After the application deadline, the institution you applied to will contact you to let you know if you have been awarded a scholarship.